While I am making my through my massive pile of Confetti, I realized I have a few layouts I made with Open Book that I haven't shared yet. I figured I would share a layout a week or so over the next few weeks. These Thickers are actually from Pebbles, but I used them on a bunch of layouts using both Open Book and Notes & Things. They went really well with both lines. Since my title was too big to make all with Thickers, I brough out my trusty Dymo label maker and added the remainder of my title to a jewelry tag and added a wood veneer heart. 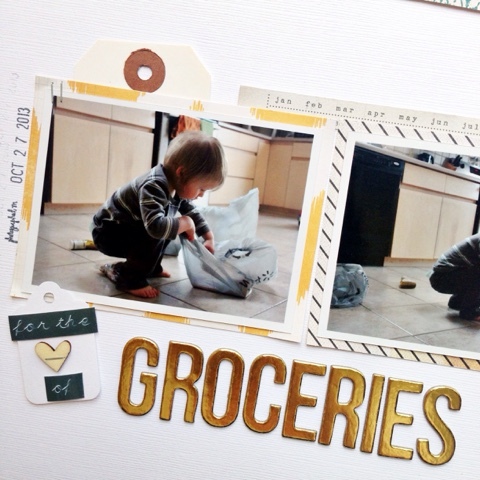 I used a few of my favourite papers from the 6x6 pad to mat my photos with. I really liked using the smaller scale patterns with my smaller photos. 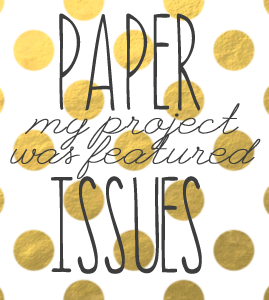 I used a big piece of my favourite paper from this line at the top of my layout. 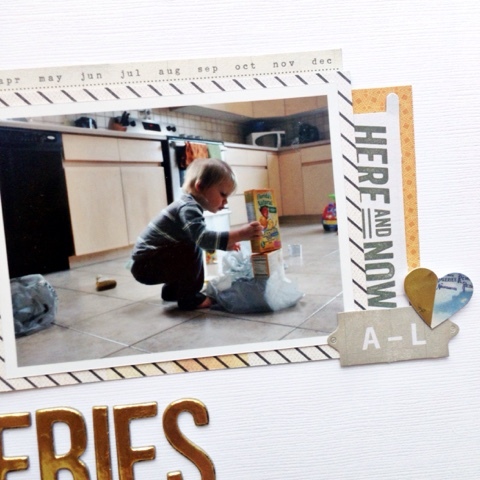 I also used a few pieces from the die cut ephemera pack tucked behind my photos and layered on top. 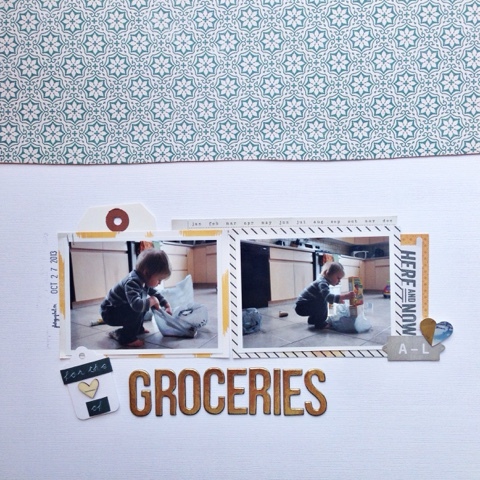 This is a super simple layout but I really like how the photos take center stage, so I can focus on the memory of my sweet boy and his love of groceries. Thanks for being part of your creations and memories.